Allen Bills, center, a pilot with LifeNet Air, discusses landing zone protocol Saturday moprning during a training session that included area volunteer fire departments. About 30 people attended the training session at the Avery ISD cafeteria. 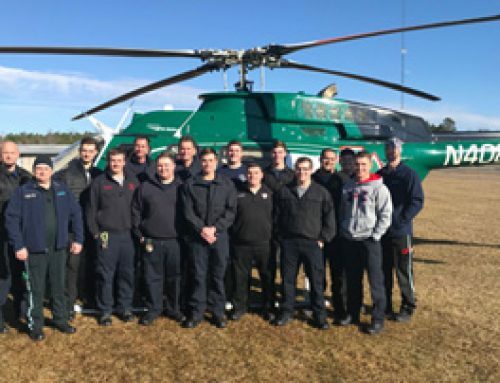 Seven volunteer fire departments (VFD), including Avery VFD, Bogata Fire & Rescue, Annona VFD, Boxelder VFD, Clarksville VFD, Detroit VFD, and Northwoods VFD attended a helicopter landing zone class that was taught by LifeNet and Air Evac in Avery, Texas. 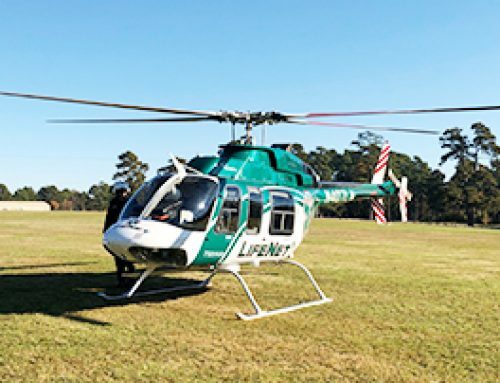 Shon Matthews, Operations Manager for LifeNet, and Allen Bills, pilot for LifeNet Air, explain how to setup a safe landing zone for a medical helicopter at the Landing Zone class held Saturday for seven area fire departments. Shon Matthews, Operations Manager for LifeNet, and Justin Kinkade, Program Director for Air Evac 129, teach volunteer fire department members from across the area how to setup a landing zone for a medical helicopter during a special training held on Saturday. About 30 volunteer firefighters attended a Landing Zone Class on Saturday, May 5, taught by LifeNet and Air-Evac. 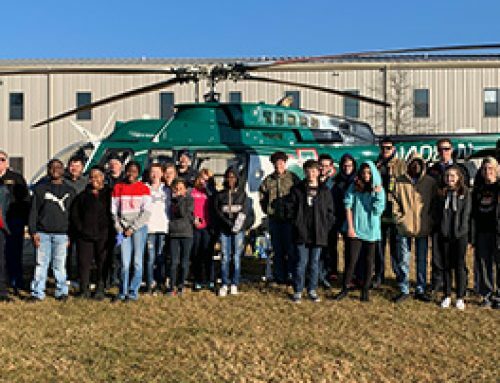 The class included instruction on how to setup a safe landing zone for a medical helicopter, how to identify hazards in a landing zone, and the types of injuries and illnesses that are better suited for air medical transport. 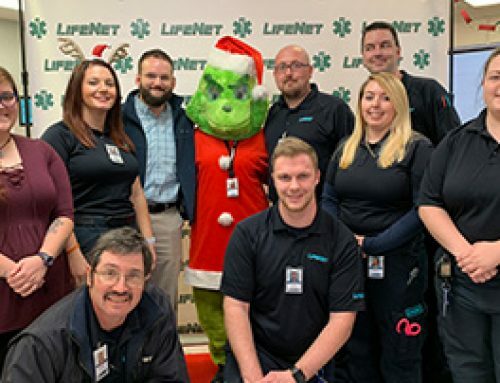 The class was taught in the the Avery ISD cafeteria and included a fly-in of the LifeNet Air medical helicopter in the parking lot, where attendees had the opportunity to receive instruction from LifeNet’s medical flight crew. Firefighters representing Avery VFD, Bogata Fire & Rescue, Annona VFD, Boxelder VFD, Clarksville VFD, Detroit VFD, and Northwoods VFD attended the class that was taught by Shon Matthews, Operations Manager for LifeNet, and Justin Kinkade, Program Director for Air Evac 129. 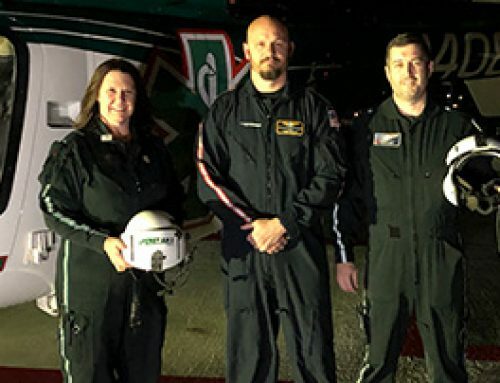 “Volunteer fire department members and first responders often establish landing zones for our helicopter at motor vehicle accident scenes and other emergency responses, and we appreciate everything they do for us on scene,” said Matthews. The training session was coordinated by Phyllis Parker Stanley with the Avery Volunteer Fire Department.